If you have ever experienced how hard it is to deal with a number of shapes, try the application of multi-layers. Visual Paradigm supports multi-layers to help you manage different shapes efficiently. The functions of layer assist you in assigning different shapes into different layers, hiding unnecessary shapes, locking shapes and selecting shapes in shortcut. 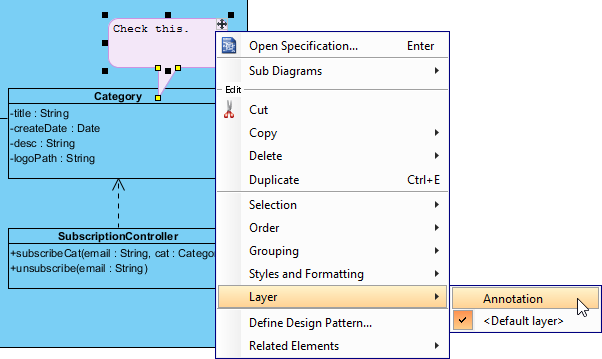 Click on View > Layers from the toolbar, or select Layers from the action bar on the right of the diagram. 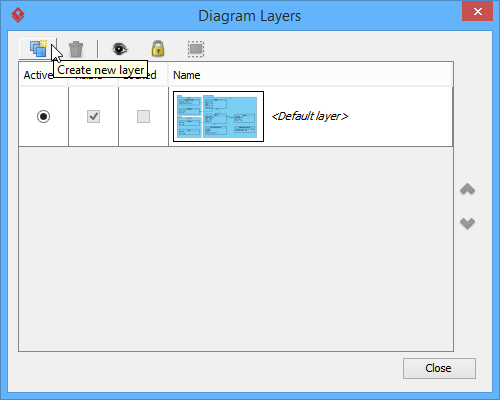 In the Diagram Layers window, click Create new layer button to create a new layer. Finally, define the name for the newly created layer. The existing shapes are kept in default layer. However, both existing shapes and the newly created shapes on diagram can be sent to a new layer. Create a new layer is just like the steps of previous section. Right click on a shape and select Layers, and then select the new layer you have created. As a result, the shape you selected will be sent to the new layer. 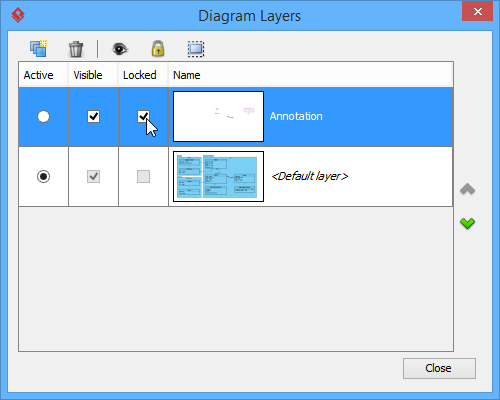 In the Diagram Layers window, you can make a layer invisible on diagram. To do so, uncheck Visible of the layer. 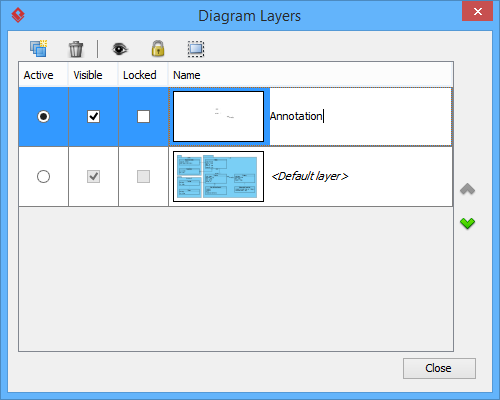 In the Diagram Layers window, check Locked to make all shapes in that layer immovable and non-editable while uncheck Locked to make them movable and editable. You can also select all shapes of the selected layer. To do so, click Select shapes in selected layers button in Diagram Layers window.